1.5" x 2"Post-it Notes in the Jaipur Collection are perfect for quick organization solutions in the home or office. These small sticky notes can easily be tucked in a purse or briefcase for easy access no matter where the day takes you. SmallPost-it Notes in the Jaipur Collection are perfect to capture quick messages or reminders. Write one to-do item or task on aPost-it Note, and place the sticky note in your planner. Fill in your week's schedule with reminders and move thePost-it Notes as your schedule changes. Handy 1.5" x 2" sticky notes are also perfect for jotting down phone numbers or small notes while on the phone. Post-it Notes in the Jaipur Collection are inspired by emotive colors that draw upon the art and culture of this city. ThePost-it Note Jaipur Collection keeps your notes visible in even the busiest office. SmallPost-it Notes in ultra-bright colors are perfect for reminders, daily task organization, and desk calendar color-coding. 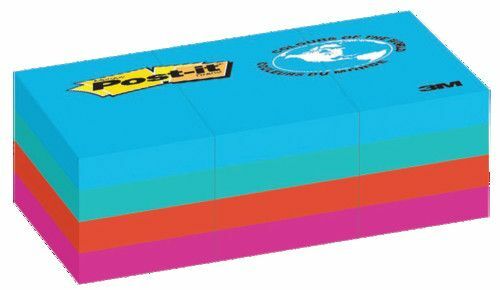 ColoredPost-it Notes stick to a variety of horizontal surfaces so you can display your messages on desks, folders, or documents. 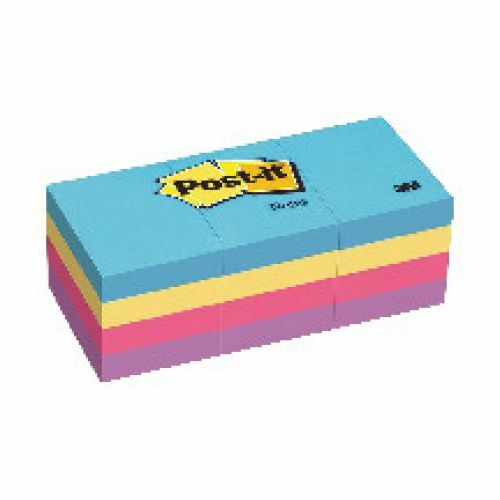 The handy pack of 12 pads ofPost-it Notes in the Jaipur Collection helps to keep your supply cabinet stocked. 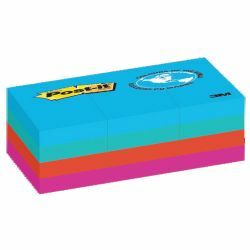 Each of the sticky note pads comes with 100 sheets so you won't run out in the middle of a thought!